Perfect for use in furnace equipment, heat-treating equipment and industrial testing equipment. Temperature Controllers combines innovation with ease of use, for a wide variety of applications. 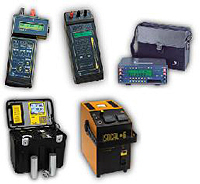 When it comes to selecting the right temperature controller for your needs, we offer a wealth of experience in choosing process control equipment for industrial applications. Whether you are involved in the food and drug, environmental, pharmaceuticals, plastics, processing, utilities or temperature control industry we have process monitoring instrumentation from single pen recorders, strip chart recorders, paperless recorders and recording controllers to automate your systems. 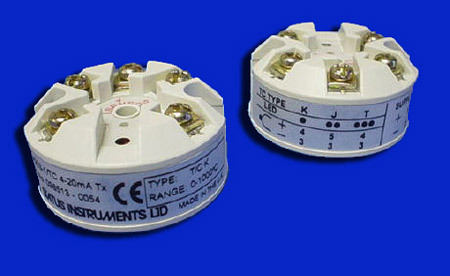 Our in head temperature transmitter incorporates the latest digital technology ensuring accurate drift free operation. The transmitter connects to any standard Thermocouple or RTD sensor and provide a linear 4-20mA DC output. Point, shoot and read Infrared Non-Contact Thermometer is accurate in a compact relible design that makes temperature data gathering easier than ever. Suitable for the most demanding thermometer applications.